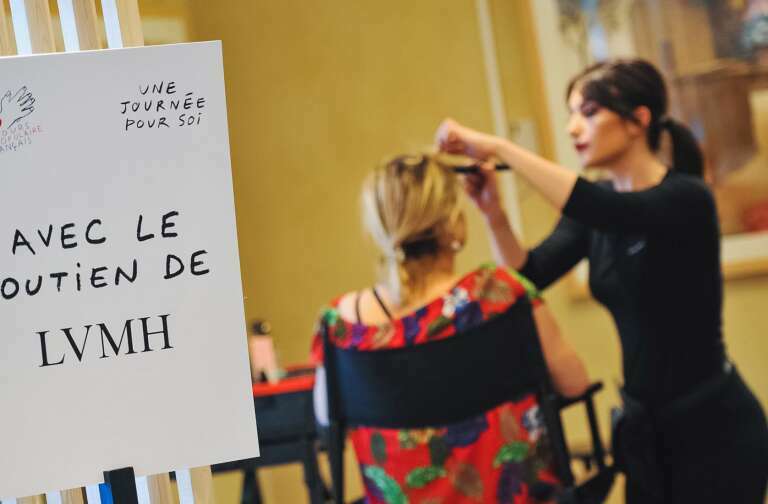 As the watch industry gathers for its annual rendezvous in Geneva from January 14-17, LVMH Maisons are presenting an exciting array of innovations. 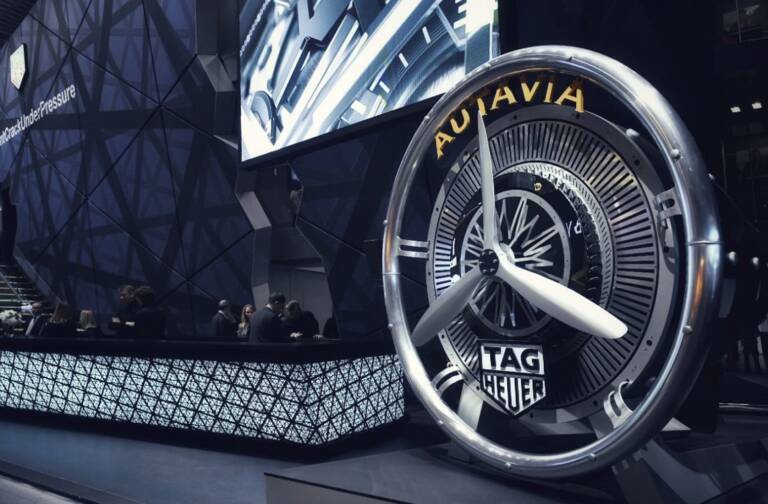 Bulgari, Hublot, TAG Heuer and Zenith all unveiled their latest creations to professionals and the public. Close-up on four emblematic models from the four LVMH watch Maisons. Alongside its now iconic Octo Finissimo and Serpentine watches, Bulgari is celebrating 50 years of watchmaking genius and expertise at Gérald Genta, the watchmaker it acquired in 2000. 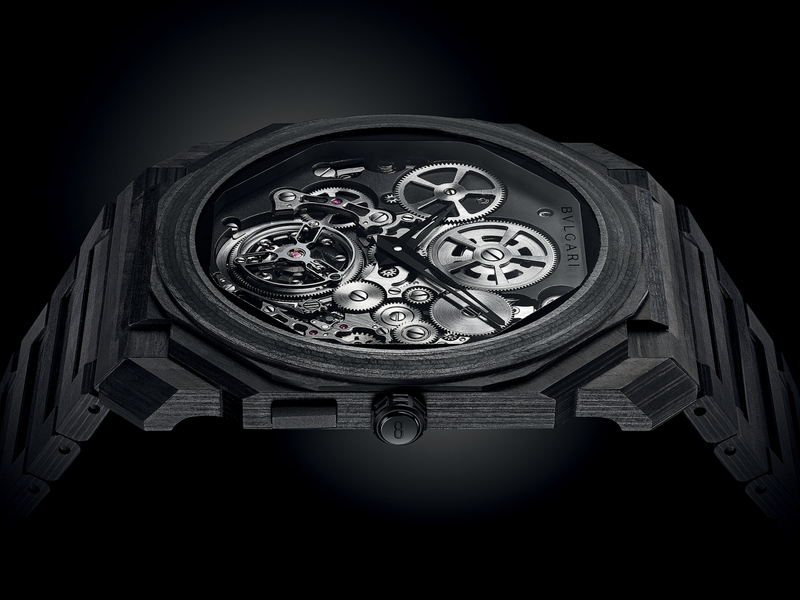 Integrating the unique skills of Gérald Genta, Bulgari is now confidently venturing into haute horlogerie complications and looking at the development of Finissimo ultra-thin movements. A new Bulgari watch with the Gérald Genta logo on the dial pays tribute to the contribution the brand has made to the Maison’s success over the past 19 years. Bulgari adds another icon to its Rinascimento portfolio with the Gérald Genta 50th Anniversary platinum watch, featuring a jumping hour display. 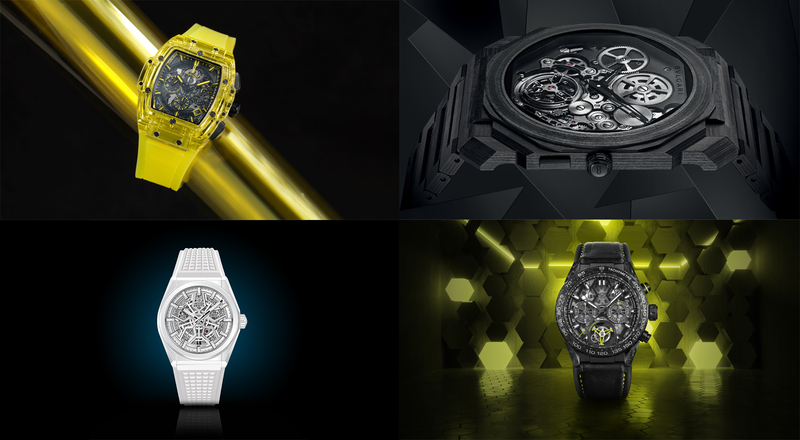 This year in Geneva Hublot is showcasing its expertise with sapphire, a totally transparent, ultra-resistant material that is extremely complex to machine. Since 2016 Hublot has been a pioneer in shaping and coloring sapphire. Pushing the boundaries of engineering and chemistry, Hublot now creates large, perfectly uniform, transparent and colored sapphires. 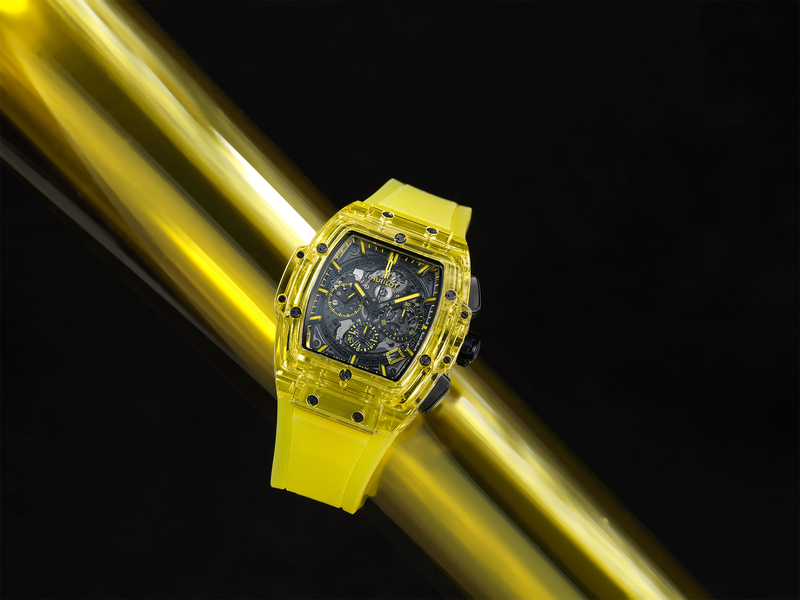 Continuing this colorimetric quest, Hublot has gone even further in the Art of Fusion by adding a new hue: yellow. The color of the sun now graces the dial of the Spirit of Big Bang Yellow Sapphire, housing a self-winding skeleton chronograph movement derived from the legendary Zenith El Primero calibre. 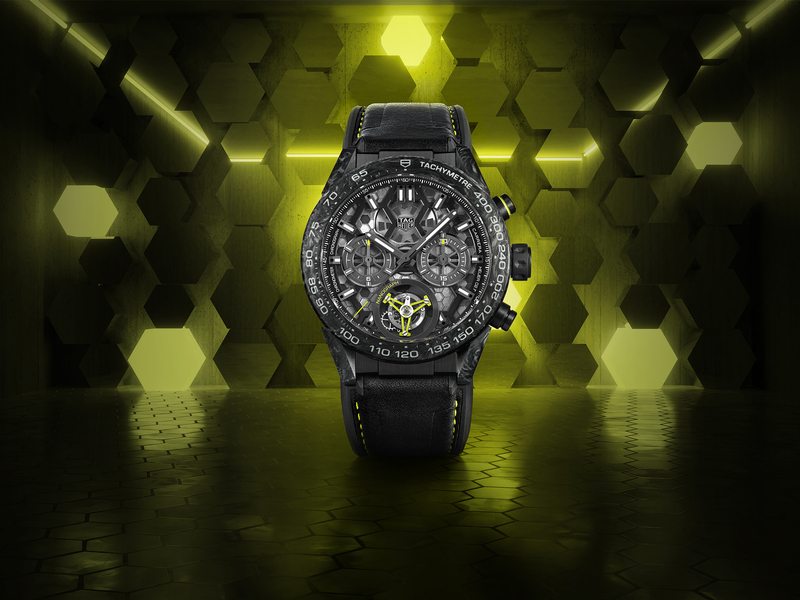 TAG Heuer has unveiled its latest innovation this year, a carbon composite hairspring. The fruit of state-of-the-art technology, this world first in watchmaking is featured in the latest version of the Carrera watch. The carbon-composite structure – used for the first time for a hairspring – is part of the Carrera Calibre Heuer 02T Tourbillon Nanograph chronometer, a tribute to the DNA of a Maison that has always put innovation at the heart of its timepieces. “This new interpretation of the TAG Heuer Carrera with its advanced in-house technology underscores our legacy in achieving watchmaking excellence and proves that we remain true to our values of performance, disruption and avant-garde,” said Stéphane Bianchi, CEO of the LVMH Watchmaking Division and CEO of TAG Heuer. 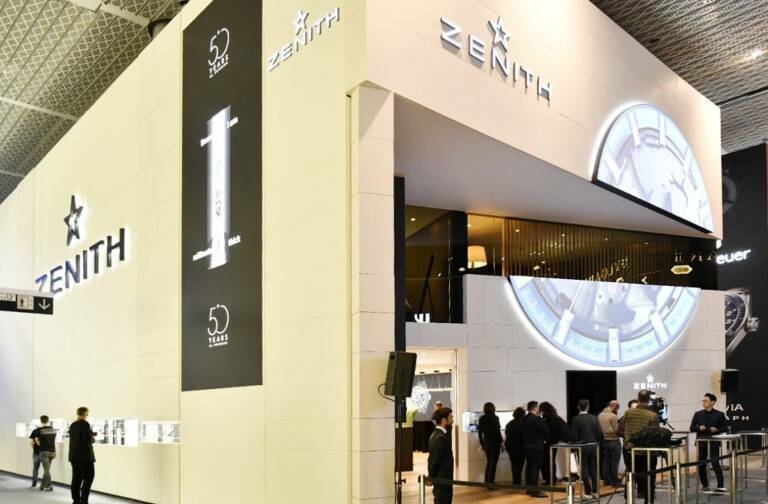 In Geneva, Zenith presented its Defy Classic for the first time in ceramic, with a choice of three colors, white, blue and black, underscoring the avant-garde spirit of the Maison. 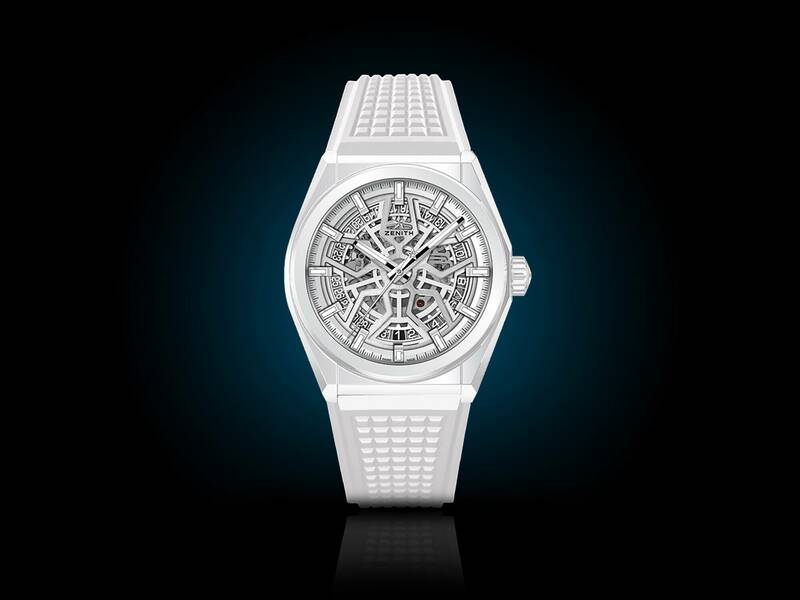 The 41mm case features a combination of polished and satin-brushed surfaces, emphasizing the geometric lines of the original Zenith Defy collection launched in the 1970s. The open dial and sapphire case back reveal the Zenith Elite 670 movement, open-worked for the first time. 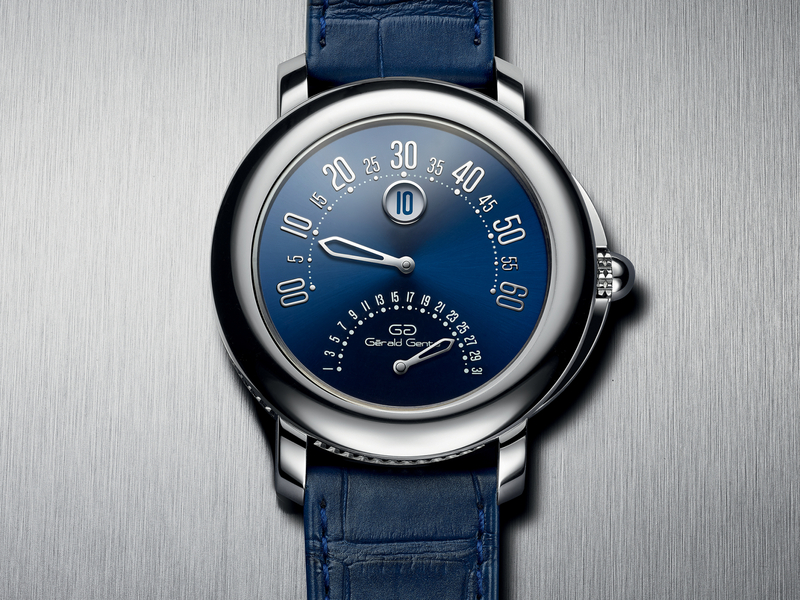 The movement is more precise than ever thanks to a silicon pallet-lever and escape-wheel.